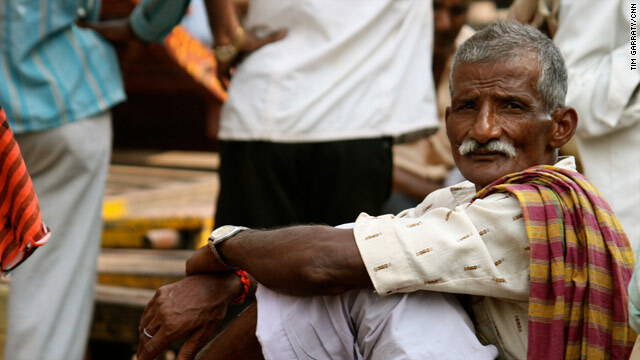 NEW DELHI, India (CNN) - In another major sign of growing ties between the two nations, President Obama on Monday used a speech before the Indian Parliament to endorse this country's bid for permanent membership on the United Nations Security Council. Ben Rhodes, a top White House aide, told reporters before the speech that the Obama administration wants to "send as clear a statement as possible" that the U.S. sees India as a "rising player" on the international stage. 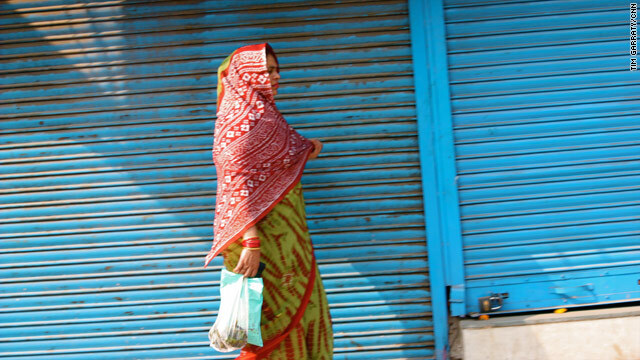 The religion of Sikhism originated in the Punjab region of India in the 15th century. 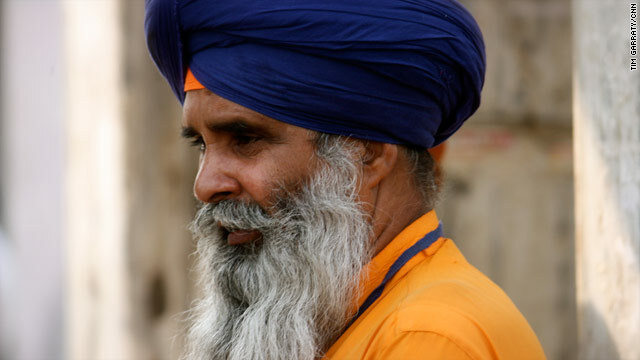 Sikhs are recognized by their turbans. Most Sikh men have Singh and women have Kaur in their names. 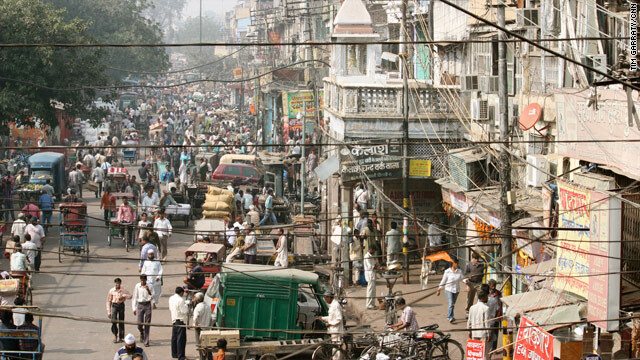 A street scene in old Delhi. 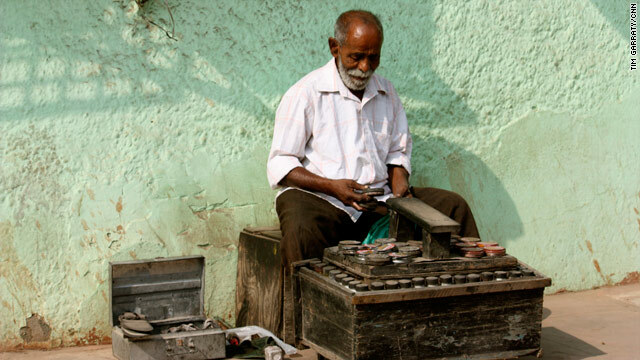 CNN's photojournalist Tim Garraty saw this shoeshine man in the old market in Delhi. Amid the neem and Banyan trees and colorful tribal Worli art wall paintings, Michelle Obama held hands with schoolgirls touring the museum’s rooms. Some of the girls wore maroon school uniforms, their hair in looped braids and tied in red ribbons, with knee high socks under black mary jane shoes. Others wore blue uniforms with white sashes. They passed through hand-carved wooden doors with lattice work, and near a Gujarati pigeon house, which historically celebrates nature and provides a refuge for birds. NEW DELHI, India (CNN) –Traveling with President Obama whether domestically or abroad always means going through several layers of security screening. 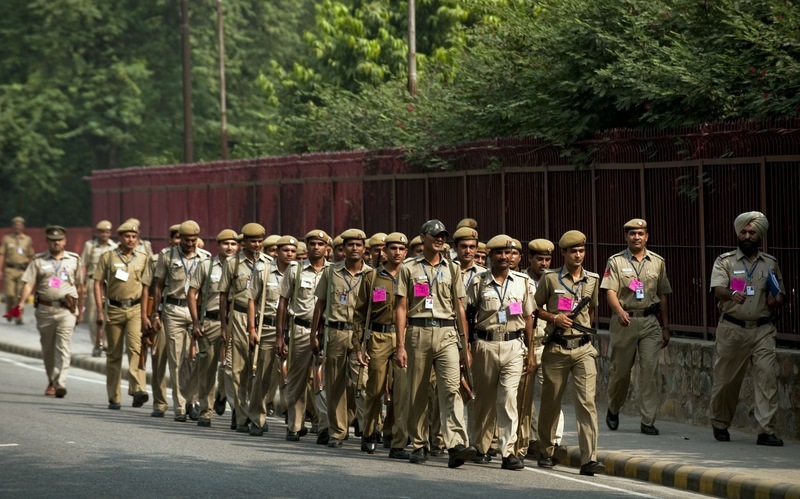 But Indian law enforcement officials have taken security to an unusually high level. 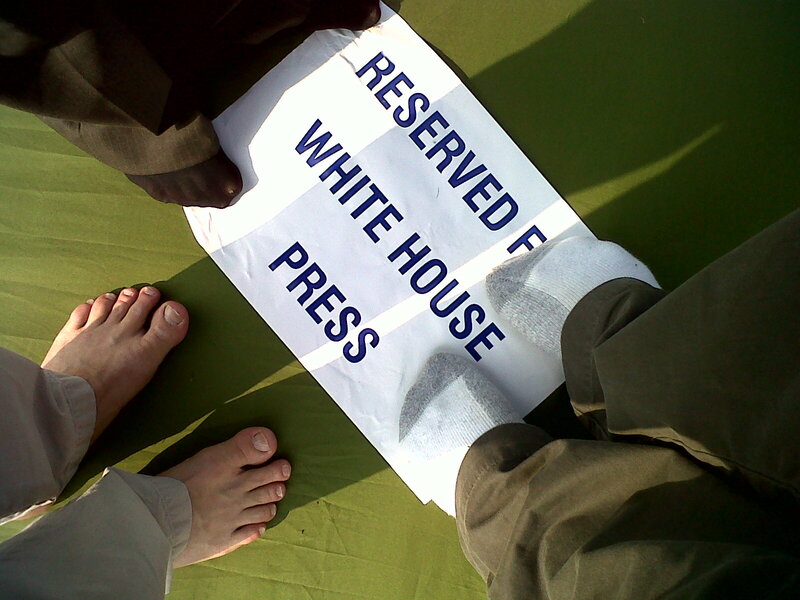 CNN Photojournalist Mark Walz shares this picture of the White House Press corps sans shoes. They were at the Gandhi Eternal Flame in New Delhi, India where everyone – including the President – had to remove their shoes. Hyderabad House, designed by the principal architect of New Delhi Edwin Lutyens, was originally built as a palace. It's design is in the shape of a butterfly. 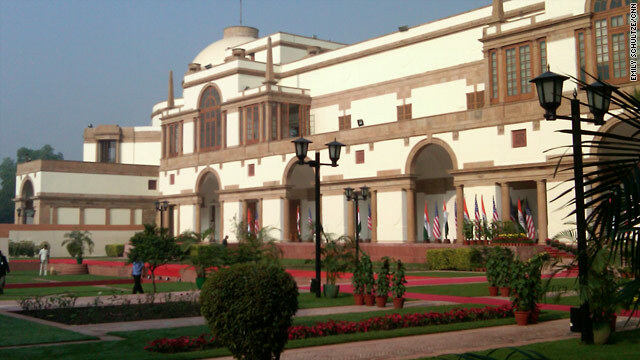 The building is currently used by the Indian government for venue for joint press conferences and major government events.